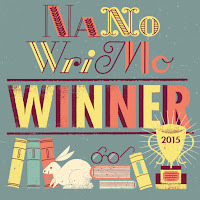 Well, NaNoWriMo* is done. Finished. Kaput. The goal of writing 50,000 words in November is over. If you didn't make it, it's too late now. I did make it, but with a caveat. My personal goal was a novel first draft of at least 60,000 words. I wrote 54,498 words, finishing yesterday. Compare to last year when I finished on November 25th with 63,388 words. Last year, my biggest day was 3,666 words (the day I wrote the climax). This year my biggest day was 2,800 words on the 11th day of NaNoWriMo*. Last year I averaged 2,536 words per writing day (since I didn't write the last five days as the first draft of the novel was finished). This year I averaged 1,817 words to finish that first draft. This year, I was writing the third novel in the "Treasures of Space" series. The first novel, Treasure of the Black Hole was published (self-published) earlier this year. The second novel, that I wrote last year, Treasure of the Pirate Planet, is in edits. And this year I wrote Treasure of the Derelict Ship. Now I can hope that the novel will get longer in edits. My novels always do as I decide to add more description or detail. But I doubt I'm going to get 5,500 more. Maybe. But I doubt it. 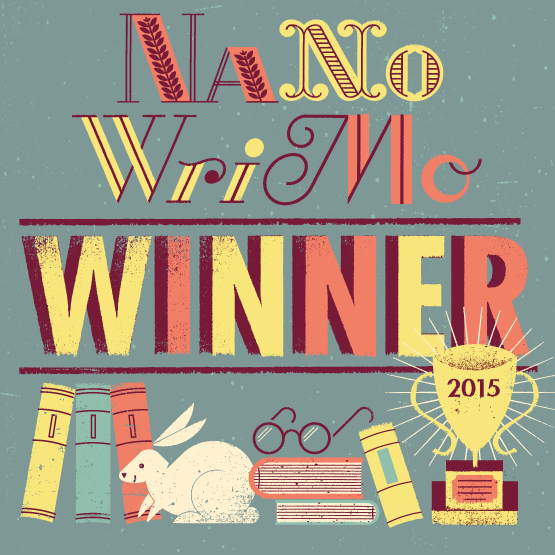 But the good news is, I won NaNoWriMo* for the third year in a row. The bad news is, I have no idea what to write next year. But I have eleven months to figure that out. *NaNoWriMo is the "National Novel Writing Month" wherein you pledge to write at least 50,000 words of a novel in November. For more thoughts on NaNoWriMo, see here.